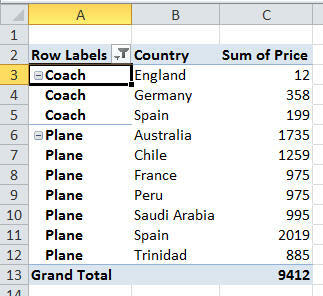 That is, whether you can get Excel to show every row label, even when there are duplicates. The answer, I'm pleased to say, is yes! 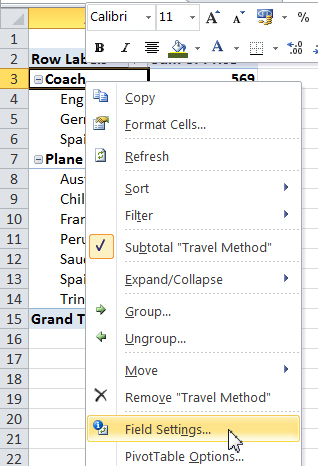 Right-click on the group (here it's the travel method we want to repeat, so we right-click on Coach), and choose the Field Settings... option shown. 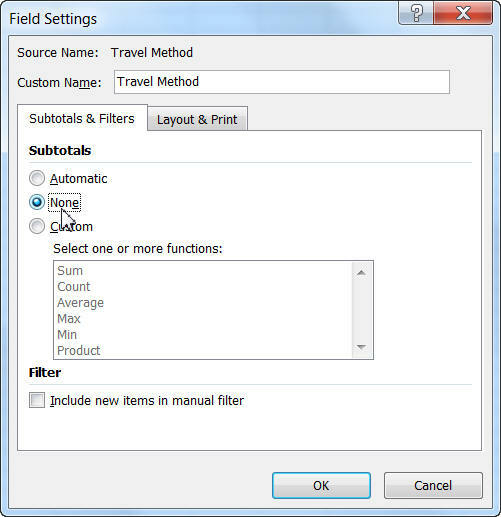 Select None as shown here to avoid subtotalling the travel methods. You need to display your row labels in tabular form. 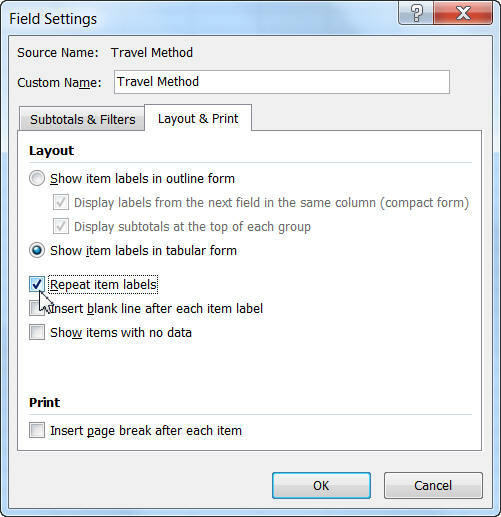 Tell Excel to repeat the item labels! The row labels are now repeated, as required!